South Korea's top court has ruled to formally end impeached President Park Geun-hye's rule. Eight judges from the Constitutional Court assembled on Friday to issue a verdict to remove Park from office over a corruption scandal. The ruling sparked protests from hundreds of her supporters, two of whom were killed in clashes with police outside the court. 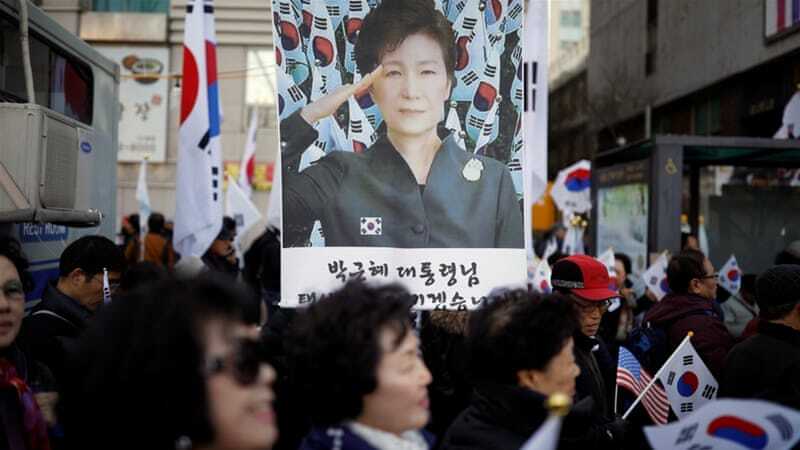 It marks the first time a South Korean president has been ousted before the end of their term since democracy replaced dictatorship in the late 1980s. Park's action had "seriously impaired the spirit of ... democracy and the rule of law," said constitutional court chief justice Lee Jung-Mi. "President Park Geun-hye ... has been dismissed." Election law now requires a snap poll to be held within 60 days. In anticipation of the ruling, Park supporters, many of them dressed in army-style fatigues and wearing red berets, and those who want Park gone began showing up around the Constitutional Court building in downtown Seoul. A big television screen was set up near the court so that people could watch the verdict live. Hundreds of police also began preparing for the protests, putting on helmets with visors and black, hard plastic breastplates and shin guards. Park, 65, has been accused of colluding with a friend, Choi Soon-sil, and a former presidential aide, both of whom have been on trial, to pressure big businesses to donate to two foundations set up to back her policy initiatives. She is also accused of soliciting bribes from the head of the Samsung Group for government favours including the backing of a merger of two Samsung affiliates in 2015 that was seen to support the succession of control over the country's largest "chaebol" conglomerate. Park has denied any wrongdoing, but apologised for putting trust in her friend. People on both sides have threatened not to accept a Constitutional Court decision. 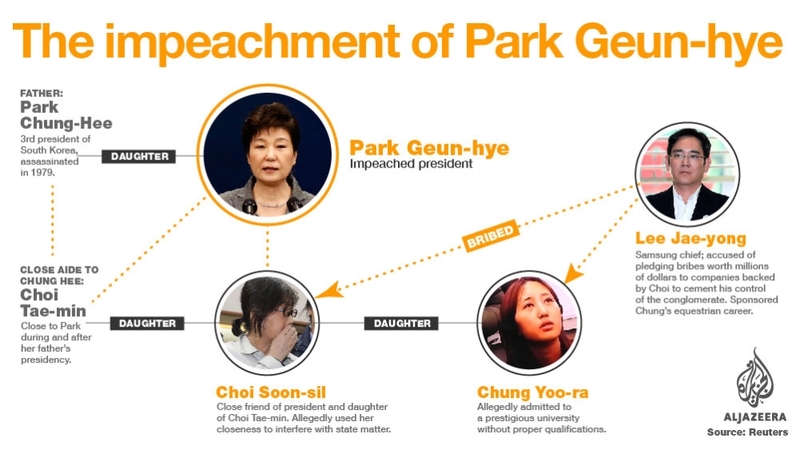 One of Park's lawyers told the court last month that there will be "a rebellion and blood will drench the asphalt" if Park is booted from office. 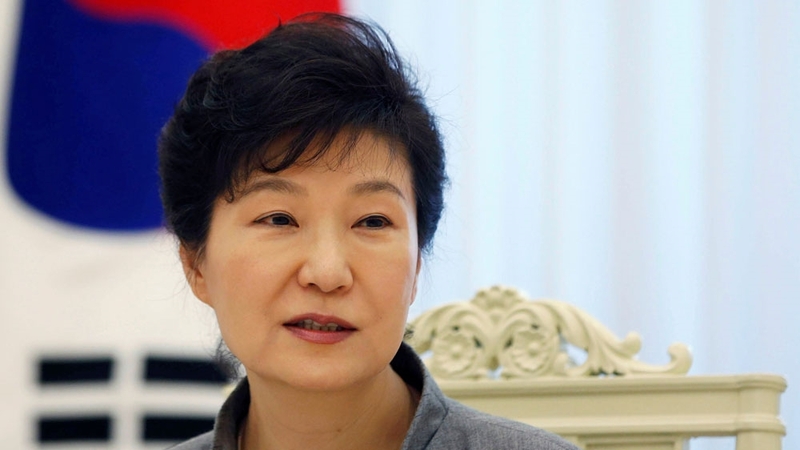 Park Geun-hye's office said that she would not comment on her removal from office on Friday.